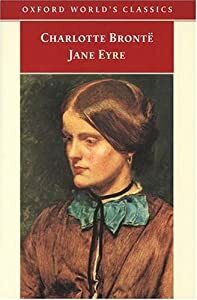 In my memory, Jane Eyre will forever be linked to chocolate ice crème. I remember spending the better part of a weekend, aged 15 or 16, with the book in my lap and a bowl held up near my chin. Complementary pleasures — one a fleeting sweetness, the other lingering as a dark engrossing image with a happy ending. For young girls who love reading, Jane Eyre is a near right-of of-passage. It’s a blend of Gothic romance, Victorian morals and Fairy Tale sensibility rendered through an austere, some would say stubborn and defiant heroine. The first few pages peg her as unlikeable, according to her aunt and three cousins. Jane’s response is a resolve to never be anything other than herself – stoic, smart and judgmental. The action flows mostly through her decisions to follow her moral convictions, satisfying those persnickety Victorian readers. Bronte created matching sets of cousins to fill the role of stepsisters. They were placed in the story like bookends of good and evil. The first were paternal cousins, Eliza and Georgiana Reed. Both qualified as unsuitable human beings, destined for unhappiness. Further into the story, at a point where a crisis passes, Bronte introduces two women who later turn out to be cousins on Jane’s mother’s side. It was a tad too convenient, but the cousins Diana and Mary Rivers served as the idyllic stepsisters to round out the happy ending. Charlotte Bronte offered up two suitors as polar opposites. The hero, Rochester, was more emotionally flawed than any of the Austen heroes. The second suitor, St. John, was never comical or frivolous. Jane’s rejection of his heartless, cold offer of marriage was painful and dense, and had not one drop of comedy. St. John’s character seemed to be a tool to convey Jane’s near perfect understanding of the men in her life. She deftly intuited how to manipulate Rochester in the engagement period before the wedding. Rochester’s wife being insane and kept in a castle tower of sorts provided the gothic element that readers were accustomed to, although it was not nearly as dark as Wuthering Heights. Bronte used the orphan archetype with its typical deprivations that lead to bliss. True to the genre, bliss first appears in the form of a man, Rochester, who intends to marry her. The irony is that Jane Eyre was more than capable of taking care of herself and Rochester. Jane Eyre, the tragic heroine who earned her happy ending. Jean Rhys’ 1966 novel Wide Sargasso Sea is an interesting prequel to Jane Eyre. It chronicles Mrs. Rochester’s story before she becomes the “mad woman in the attic.” She is presented as an independent and intelligent young woman like Jane –although she lacks Jane’s mentally stability.